Draft: 2006, Kansas City Royals, 50th rd. Signed by Royals as a 50th-round selection in First-Year Player Draft (June 9, 2006) [signed by: Brian Rhees]...Has a son, Jarrod, Jr..Is 1 of 3 players in MLB with 16+ steals every year since 2012 (also: Rajai Davis & Jose Altuve). Was limited to just 67 games in his first season with Arizona, hitting .189 with 4 doubles, 2 triples, 2 home runs, 12 RBI and 16 stolen bases... Played 41 games in center field (38 starts), 18 in right (14) and 6 in left (4)...Suffered a strained right groin on July 4 and was placed on the 10-day disabled list the following day…played in 2 rehab games with Triple-A Reno on Aug. 31 and Sept. 2 before being transferred to the 60-day disabled list on Sept. 6...Underwent surgery on Sept. 21 to repair a torn right adductor (performed by Dr. William Meyers in Philadelphia). Set career-highs in home runs (5), RBI (30) and total bases (121) during his lone season with Seattle...Missed the final 26 games of the season with a sport hernia/core muscle injury...underwent season-ending surgery on Sept. 14...Ranked seventh in the AL with 28 stolen bases and tied for 11th in stolen base pct. (80.0)...Tied for seventh among all outfielders in defensive runs saved (15)...led the Majors with 6 double-plays turned as an outfielder...Acquired by the Mariners on Jan. 6 for RHP Nathan Karns. A.L. (also: Jose Altuve & Mike Trout) in stolen bases with 30...For Starters - Hit .311 (32x103) from the leadoff spot, 4th-best in the AL (min. 100 AB)... Drive 'Em In - With runners in scoring position, posted a .311/.411/.525 triple slash…his .311 (19x61) average with RISP ranked 2nd on the Royals (min. 60 AB with RISP)... Highs - Career highs in at-bats (299), hits (83), doubles (14), triples 8), RBI (25) and average (.278)...On a Roll - Hit safely in a career-best 10 consecutive games, Sept. 2-17, batting .372 (16x43) with 10 runs, 1 double, 1 triple, 3 RBI and 5 stolen bases...Speed Kills - Stolen base in a career-high 5 straight games (7 steals), Aug. 26-Sept. 2...Grand Salami Time - Hit his first career grand slam home run on July 18 in the 8th inning off Cleveland's Jeff Manship…went 2-for-3 with 1 run, 1 triple, 1 home run, 4 RBI and 1 walk…marked a career-high with 4 RBI…became the 2nd Royals player in club history with a triple and a grand slam in the same game (also: Carlos Beltran: 8/22/01 vs. CWS)... Leaderboard - Recorded his 165th career stolen base in the top of the 1st on Aug. 26 at Boston, surpassing Carlos Beltran for the 6th-most steals in Royals franchise history...DL Stint - Began season on 15-day disabled list through April 19 with a right oblique strain…in 7 rehab games with AAA Omaha, hit .318 (7x22) with 7 runs, 1 RBI and 4 steals. Batted .250 with a career-high six triples and 31 runs scored, appearing in 90 games... He recorded 26 stolen bases, which tied for third in the American League with Oakland's Billy Burns...over the past four seasons, Dyson's 126 steals are tied with Jacoby Ellsbury and Billy Hamilton for sixth-most in the Majors...Batted .318 (14-for-44) with five doubles, a triple and seven runs scored vs. A.L. West foes...also hit .333 (8-for-24) with a triple and five steals in Interleague games...Hit .417 (10-for-24) with four doubles and a triple during the month of June...also hit .323 (10-for-31) in August... Collected just 18 RBI, but had nine of them in the seventh inning or later... Matched a career high with three hits three times...most recently went 3-for-4 with a double and three RBI vs. the Angels on August 15, his birthday. Jarrod opened the year in Omaha (AAA), but played a majority of the season in Kansas City...missed time in thefinal few weeks of the season with a strained right lat muscle...Swiped 30 steals in 35 attempts, ninth in A.L... he and Alcides Escobar(35) were first Royals twosome with 30+ stealsin the same year since Willie Wilson (43) and Lonnie Smith (40) put together a 40/40 year for the 1985 World Champs. Jarrod opened the season with the Royals as an extra outfielder and served mostly as a late-inning pinch runner and defensive replacement. ... His 11 steals were the most in the Majors among players who appeared in less than 30 games. ... He pinch ran in the eighth on April 30, stole a base and scored a run ... he then came up later in the frame, singled and scored another run ... became the 20th Royal in history to score 2 runs with just 1 plate appearance and the third to do it in the same inning (Bobby Floyd, 9/22/71 & Joe Simpson, 8/16/83). Jarrod got his first taste of big league action in September...he missed a majority of the first half of the season witha lat injury followed by a high ankle sprain...Was recalled on September 6 from Omaha (AAA) and recorded his first Major League hit with a double onSeptember 13 vs. Oakland...Hit his first career home run on September 27 vs. Minnesota...also tied a KC record that night with 10 putouts byan outfielder (3rd time in a 9-inning contest) in the game. Opened the season with Burlington (A) before being promoted to NW Arkansas in late June...despite playing in only 63 games for the Naturals, his 37 stolen bases were fourth in the Texas League. ... Appeared in 16 games for the Surprise Rafters in the Arizona Fall League, batting .310 (22-for-71) with two stolen bases, appearing almost exclusively in center field. ... Was added to the Royals' 40-man Major League roster on November 20...Was honored at the Royals' Awards Night in January, 2010 as the Willie Wilson Baserunner of the YearAward. ... Entering 2010 rated by Baseball America as being the Fastest Baserunner in the Royals organization. Played 93 games with Wilmington in the Carolina League ... placed second in the league with 39 thefts in 2008. October 30, 2018 Arizona Diamondbacks activated CF Jarrod Dyson from the 60-day injured list. September 6, 2018 Arizona Diamondbacks transferred CF Jarrod Dyson from the 10-day disabled list to the 60-day disabled list. Right groin strain. August 31, 2018 Arizona Diamondbacks sent CF Jarrod Dyson on a rehab assignment to Reno Aces. July 5, 2018 Arizona Diamondbacks placed CF Jarrod Dyson on the 10-day disabled list. Right groin strain. February 19, 2018 Arizona Diamondbacks signed free agent RF Jarrod Dyson. November 2, 2017 CF Jarrod Dyson elected free agency. September 1, 2017 Seattle Mariners activated CF Jarrod Dyson from the 10-day disabled list. August 19, 2017 Seattle Mariners placed CF Jarrod Dyson on the 10-day disabled list retroactive to August 17, 2017. Right groin strain. April 19, 2016 Kansas City Royals activated CF Jarrod Dyson from the 15-day disabled list. April 9, 2016 Kansas City Royals sent OF Jarrod Dyson on a rehab assignment to Omaha Storm Chasers. April 21, 2014 Kansas City Royals activated RF Jarrod Dyson from the bereavement list. April 18, 2014 Kansas City Royals placed CF Jarrod Dyson on the bereavement list. June 22, 2013 Kansas City Royals activated CF Jarrod Dyson from the 15-day disabled list. June 6, 2013 Kansas City Royals sent CF Jarrod Dyson on a rehab assignment to Omaha Storm Chasers. May 17, 2013 Kansas City Royals placed CF Jarrod Dyson on the 15-day disabled list retroactive to May 16, 2013. Sprained right ankle. April 27, 2012 Kansas City Royals recalled Jarrod Dyson from Omaha Storm Chasers. April 15, 2012 Kansas City Royals optioned Jarrod Dyson to Omaha Storm Chasers. April 13, 2012 Kansas City Royals recalled Jarrod Dyson from Omaha Storm Chasers. March 25, 2012 Kansas City Royals optioned Jarrod Dyson to Omaha Storm Chasers. October 10, 2011 OF Jarrod Dyson assigned to Leones del Caracas. September 21, 2011 Kansas City Royals recalled Jarrod Dyson from Omaha Storm Chasers. July 2, 2011 Kansas City Royals optioned Jarrod Dyson to Omaha Storm Chasers. June 21, 2011 Kansas City Royals recalled Jarrod Dyson from Omaha Storm Chasers. May 19, 2011 Kansas City Royals optioned Jarrod Dyson to Omaha Storm Chasers. 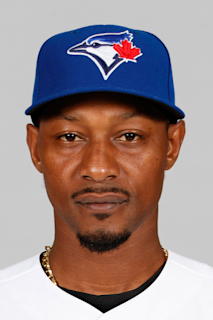 October 22, 2010 OF Jarrod Dyson assigned to Senadores de San Juan. September 6, 2010 Kansas City Royals recalled Jarrod Dyson from Omaha Royals. July 23, 2010 Jarrod Dyson assigned to Omaha Royals from Northwest Arkansas Naturals. July 15, 2010 Jarrod Dyson assigned to Northwest Arkansas Naturals from Wilmington Blue Rocks. June 30, 2010 Jarrod Dyson assigned to Wilmington Blue Rocks from AZL Royals. June 21, 2010 Jarrod Dyson assigned to AZL Royals from Kansas City Royals. March 20, 2010 Kansas City Royals optioned CF Jarrod Dyson to Omaha Royals. November 20, 2009 Kansas City Royals selected the contract of Jarrod Dyson from Northwest Arkansas Naturals. October 22, 2009 OF Jarrod Dyson assigned to Surprise Rafters. June 24, 2009 Jarrod Dyson assigned to Northwest Arkansas Naturals from Burlington Bees. June 2, 2009 Jarrod Dyson assigned to Burlington Bees from Wilmington Blue Rocks.